On the Western edge of Los Angeles County near the suburbs of Chatsworth and Simi Valley, a battle has raged for decades over the Santa Susana Field Lab, a toxin-filled former nuclear testing site. Arguments about how to clean it and who will pay have dragged on for decades with no resolution. Now, two of the responsible parties, NASA and the Department of Energy, have indicated they won’t be honoring a cleanup agreement they signed back in 2010. 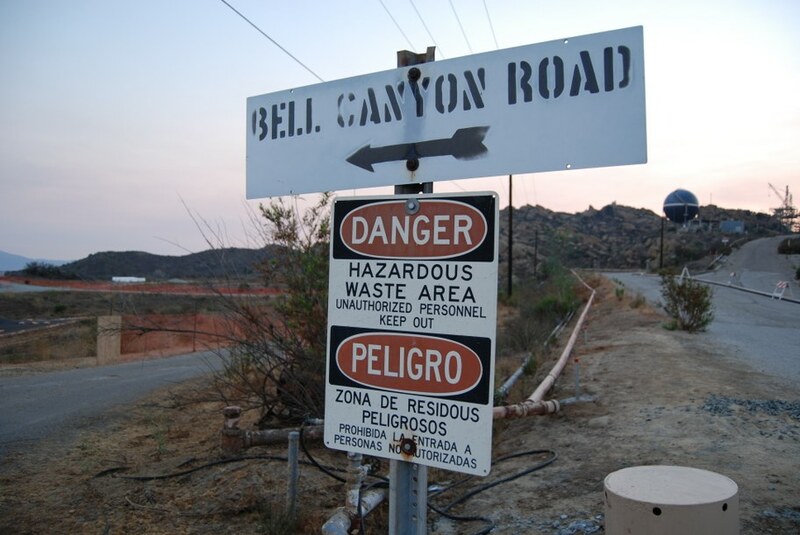 The Santa Susana Field Lab has been a source of concern to local families for many years. For the Bumstead family, the first sign that something was wrong was when strange bruising appeared on little Grace’s skin. Her mother, Melissa Bumstead, remembers taking the 4-year-old to Children’s Hospital Los Angeles. Lauren Hammersley was also at Children’s Hospital. Two-year-old daughter Hazel was diagnosed with neuroblastoma, another rare childhood cancer. She and Bumstead were surprised to discover that there were similarities to their stories. “We started to realize 'Hey, wait a second we live really close to each other,'” said Hammersley. 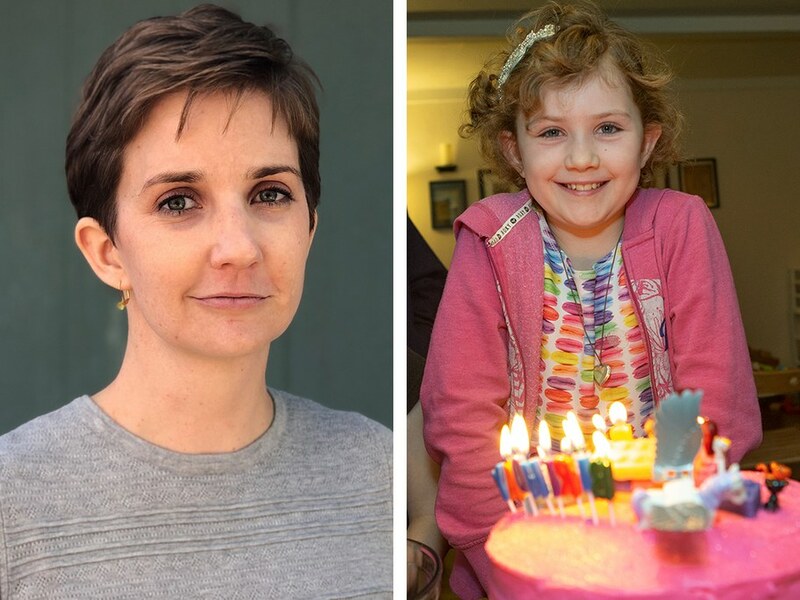 Lauren Hammersley and her daughter, Hazel, who died of neuroblastoma. Photo of Lauren Hammersley by Jenny Hamel/KCRW. Melissa Bumstead and her daughter, Grace, who has now survived leukemia twice. Photo of Melissa Bumstead by Jenny Hamel/KCRW. Bumstead believes this cancer cluster is caused by the Santa Susana Field Laboratory, a nearly 3000 acre site nestled between Simi Valley and Chatsworth that is contaminated with radioactive and toxic chemicals. In 2007, a federally funded study found a 60 percent higher rate of certain cancers for those living close to the site. Santa Susana was established in 1947 to test nuclear reactors and rocket engines. At the time, the location was chosen because it was remote. Now about half a million people live within 10 miles of the site. Scientific advances were made there, but the environmental legacy has been ugly. There were several nuclear reactor accidents and a partial meltdown of a reactor in 1959, which was kept secret for decades. Beyond that, tens of thousands of rocket engines were tested there. 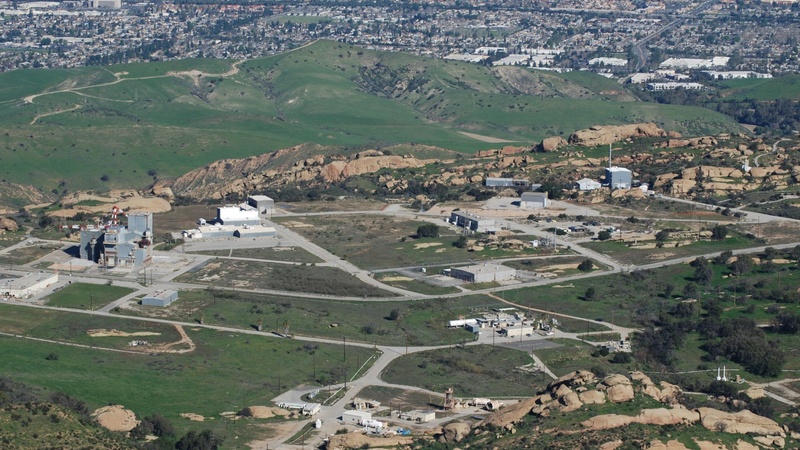 There are three parties responsible for cleaning all this up: NASA, the federal Department of Energy; and aerospace giant Boeing, which inherited this mess when it acquired Rocketdyne and most of the Santa Susana Field Lab in the mid ‘90s. They are accountable to the state of California, where the state’s Department of Toxic Substances Control is in charge of making sure the cleanup happens. But hardly any of the cleanup has actually taken place. 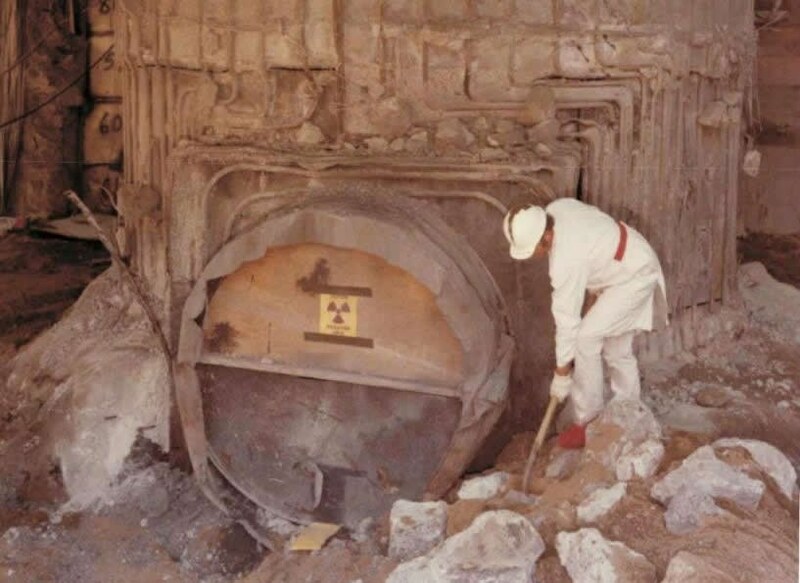 Workers dig out a reactor core, 1979. Hirsch points to 2010 when the Energy Department and NASA signed a legal agreement promising to clean up all the contamination by 2017. But 2017 came and went and the site was virtually untouched. Then, in November of 2018, the Woolsey Fire broke out at the Santa Susana Field Lab and scorched another 100,000 acres. The California Department of Toxic Substances Control, or DTSC, said testing showed that radioactive and hazardous materials were not released through the smoke and ash. However, residents and the scientific community are not convinced. They don’t trust the DTSC, since the promised cleanup has not materialized and the Department of Energy has announced they have no plans to honor the 2010 cleanup agreement. NASA has also indicated that it won’t honor the 2010 cleanup agreement. In March, the NASA Inspector General released a report, putting the price tag of a full cleanup of Santa Susana at over $500 million. It called the the 2010 agreement “not achievable” and recommended that NASA “pursue all available options—administrative, legal, or political—to ensure” a cleanup at less stringent standards. The DTSC has sent letters to both the DOE and NASA saying the agency remains committed to holding both DOE and NASA accountable to the 2010 cleanup agreement. Dan Hirsch and other activists hope Governor Newsom is ushering in a new era for the Santa Susana Field Lab. Shortly after Newsom took office, Barbara Lee, the director of the DTSC, stepped down. In addition, Jared Blumenfeld, a longtime environmental advocate, was named as the new chief of the California Environmental Protection Agency. Blumenfeld has since visited the Santa Susana Field site and made some strong remarks regarding the situation at a oversight hearing about the DTSC. Dan Hirsch says a full cleanup at Santa Susana all hinges on what actions Cal EPA head Jared Blumenfeld takes and if the Governor reforms the DTSC from the top down. KCRW reached out to all the parties responsible for cleaning up the site. All declined a taped interview. 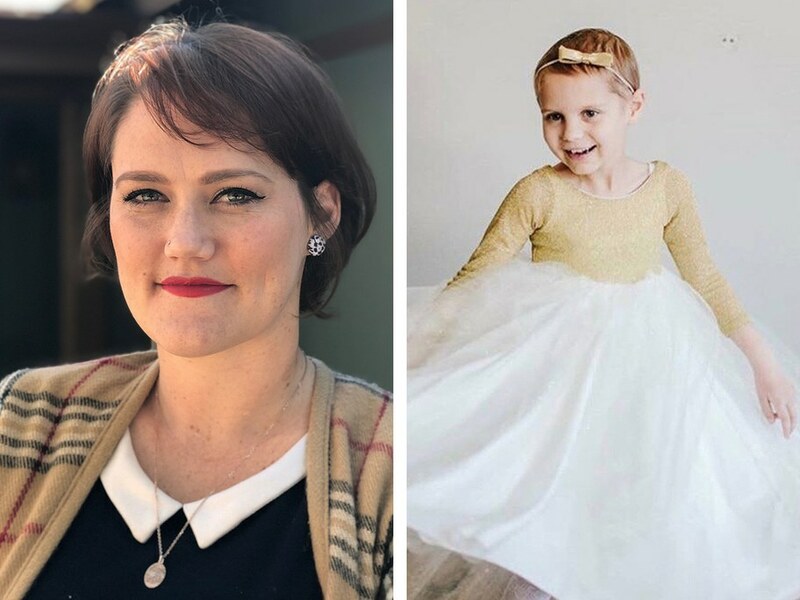 Lauren Hammersley questions whether local families can trust these agencies when “we’ve been burned so many times before.” Hammersley ended up losing her young daughter, Hazel, to neuroblastoma and is now an activist fueled by heartbreak. As for Melissa Bumstead, she continues to lead the push for a full clean up of Santa Susana. Her change.org petition that asks officials to ensure the full cleanup of the site has gained more than 600,000 signatures. Her daughter Grace has survived leukemia twice.